30 Megapixeln. Und das dank Bildstabilisator super-scharf und ohne Verwackler! Blumenblüte alles bestens im Bild. – Alle Einstellungen lassen sich ganz bequem am großem Touchscreen-Monitor vornehmen. Wiedergabe mit einem Flachbild-Fernseher oder auch PC-Monitor. Kompaktes Leichtgewicht: Der Camcorder von Somikon nimmt im Reisegepäck kaum Platz ein. Video und in Fotos unvergesslich machen möchte! Zeitraffer- und Slowmotion-Funktion, LED-Kameralicht, Stativgewinde, Haltegurt u.v.m. 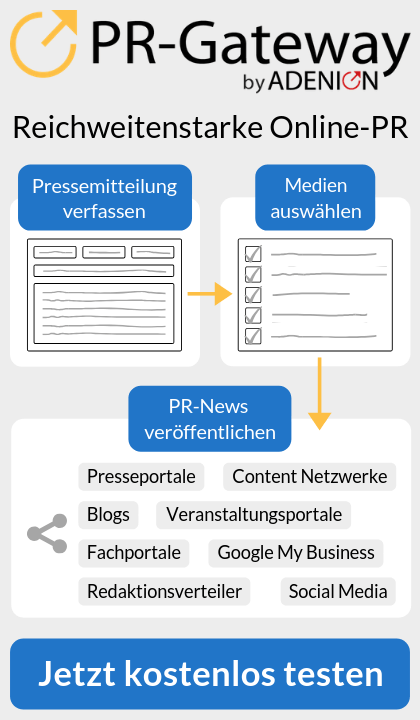 „Mit detailreichen Bildinformationen bei gleichzeitig hoher Framerate und schnellem Datentransfer stellt die CamPerform 90 die Informationen aus der Vermessung nahezu verzögerungsfrei zur Qualifizierung zur Verfügung“, so Dr. Bernd Reinke, Produktmanager bei Optronis . Die CP 90 wird mit Bildsensoren ab 3 bis hin zu 25 Megapixel angeboten. Durch die serielle Übertragung der 4 CoaxPress-Schnittstellen nach DIN 1.0/2.3 wird eine Brutto-Taktrate von bis zu 6,25 Gigabit pro Sekunde erreicht. Zwei- als auch dreidimensionale Bildaufnahmen sind mit der CamPerform 90 ebenso einfach zu realisieren wie Höhenvermessungen aus der Laser-Triangulation. Von der Holzverarbeitung über Bahn-Messtechnik bis hin zur Straßeninspektion ist das Einsatzgebiet der CP 90 so unterschiedlich wie die Anwendungen der High-End Automation und 2D/3D AOI. Alle Optronis CamPerform Kameras sind nach DIN EN 60721-3-2 schock- und vibrationsgeprüft, CE- sowie RoHS-konform und nach EMVA 1288 zertifiziert. Die CamPerform 90 wird gemeinsam mit der kompletten CamPerform-Serie auf der diesjährigen VISION, vom 08.-10. November 2016 in Stuttgart, Halle 1, Stand 1F14 ausgestellt. Weitere Informationen unter www.the-future-is-now.info. Die Abmessungen der Kamera am Beispiel eines F-Mounts betragen 85x85x83,5 mm (HxBxL). Kombiniert mit einem robusten, staubdichten Gehäuse bietet die CamPerform 70-1 optimale Voraussetzungen zur Integration in raue Industrieanwendungen. Alle Optronis CamPerform Kameras sind nach DIN EN 60721-3-2 schock- und vibrationsgeprüft, bieten zur einfachen Integration den GenICam™-Standard, sind CE- sowie RoHS-konform und nach EMVA 1288 zertifiziert. Die CamPerform 70-1 wird gemeinsam mit der kompletten CamPerform-Serie auf der diesjährigen VISION, vom 08.-10. November 2016 in Stuttgart, Halle 1, Stand 1F14 ausgestellt. Weitere Informationen unter www.the-future-is-now.info. 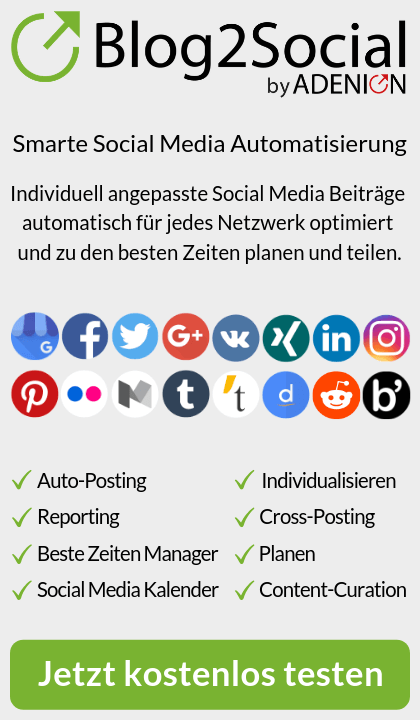 Tags Automation, Bildverarbeitung, camera, CamPerform, High Speed, Hochgeschwindigkeit, Kamera, Machine Vision, Optronis | Permalink | Kommentare deaktiviert für Fokussiert und scharfsinnig! For many plant and system operators, the price plays a decisive role in the decision making but cheap and low-quality cameras can cost you dear in the long run. If, for example, the application requirements are not met completely, wear and tear makes it necessary to prematurely exchange the camera, or when a plant audit reveals that the camera“s certification is invalid. A Hessian manufacturer now has developed a way to produce economical and sturdy cameras which are suitable for hazardous areas. So far, cheap ex-cameras only came from the Far East and had a limited application spectrum. In addition, available certifications which are necessary for the proper operation, e.g. ATEX, IECEx and EAC-Ex certifications, were sometimes of rather doubtful nature. However, now a camera manufacture from Hesse, Germany has found a way to lower the costs for a high-quality ex-camera to below 2,000 EUR. Now also price-sensitive customers can afford an ex-protected camera without having to make a compromise – neither on the quality nor on available features. „We integrate a solid lens with a fixed focal length and an approved video module in an extremely compact housing. We are also particularly proud of the mounting adapter“s design which we produce on-demand, using innovative production techniques in order to save on installation, material, and storage costs. And the resulting cost advantage we happily pass on to our customers“, says Steffen Seibert, Managing Director of SAMCON. Due to the camera“s design, it does not cause an explosion, even if a spark is created inside it since this potential spark cannot escape from the housing. As a result, it is possible to use the camera in atmospheres containing gas or dust (1, 2, 21, 22). Despite its cost-effective production, the camera can even be used in mining or in other tough environments and even minor vibrations or impacts do not cause any damages. Damp environments, aggressive gases, temperature changes, and temperatures ranging between -60° C and +50° C do not affect the camera as well. A particular advantage is also its compact size; with a length of less than 16 centimeters it can be installed even in confined spaces not affecting other plant components. For those customers who need a higher resolution than HD with 720p and who want to use the camera also under difficult or changing light conditions, more sophisticated models of the ExCam Series are available. The larger camera housings provide also more space to install additional features such as an IR cut filter or mechanical zoom lenses so that for each application the right camera can be used to meet also the most difficult conditions. „We have started some 10 years ago manufacturing explosion proof cameras for companies and plants all over the world. During this time we gathered the expertise to determine where it is possible to make cuts and which components do not allow a compromise regarding safety. For example, we still use our approved stainless steel housing but depending on the application, also the aluminum housing is used. We are convinced about our cameras“ quality. The ExCam IPM 3014 also passed – from the get-go – all certification and endurance tests so we feel very strong about it“, Steffen Seibert adds. The ExCam IPM 3014 is available starting March 2016 either directly at SAMCON or at one of the worldwide 31 distributors. SAMCON cameras aim at protecting people, plants, as well as material assets. In comparison to standard CCTV cameras they are explosion proof and it is hence possible to use them in hazardous areas such chemical plants, refineries, and mines. The ExCam Series comprise analog and IP cameras, are available with a fixed focal length or with zoom lenses and can be used inside as well as outside. A comprehensive accessory range and the possibility to choose from different housing options make it possible to use the cameras in a variety of different environments. A rear view camera can be so easy to retrofit: with the new vehicle-specific EL models, the multimedia and navigation specialist Zenec (http://www.Zenec.com/) now has a dozen very high quality cameras in its product range that can be installed in the car in no time time at all. The compact wide-angle cameras from the EL-line replace the factory-built module for license plate lighting – the assembly is therefore time-saving and simple: remove license plate light, install camera, run cable to the control unit, ready. The separable 3-part interface wire harness of 5.0 m length is fitted with waterproof connectors and facilitates the wire routing. At Vision 2014, Pixargus will present its latest development in image processing technology: integrated measurement solutions for inline quality control of carbon fiber fabrics used to make car body components for a new generation of electric vehicles made by a leading German premium car producer. In the production of carbon fiber fabrics, the new WebControl Carbon Fiber Systems, developed by Pixargus and arranged downstream of the weaving units and the automatic tying machines, check the quality of the fabric from powder coating down to the reeling process. The systems operate with sensors that measure and inspect the product as it is being powder-coated and sintered. They check the product for missing bundles and provide information for the analysis of material defects. All measurements – with the exception of the weight per area measurement – and all the inspections are based on optical systems. As a general contractor, Pixargus supplies several measuring systems, interlinks them in a network and combines the data measured by the various sensors into a global data map, allowing the customer to analyze the results within a context, not isolated from one another. The systems decide autonomously whether a product should be shipped or not … and, as a last consequence, they will even decide on the stoppage of production. In only 15 years, Pixargus has evolved from a three-man start-up company into a leading technology provider, whose image processing systems have become indispensable assets at the world“s leading manufacturers of high-tech components. Already during their assignments at the Institute of Plastics Processing (Institut für Kunststoffverarbeitung IKV) of the Technical University RWTH of Aachen/Germany, Rene Beaujean, Björn Lindner and Jürgen Philipps had concentrated on the development of systems for the surface inspection and measurement of plastic profiles. In 1999, they established Pixargus as a spin-off of the Institute. Since then, the company has evolved in a way characteristic of successful, medium-sized companies specialized in image processing technology: from single unit to series production, from single sensors to integrated quality assurance solutions, from the evaluation of isolated measured data to automated „ship-or-block“ decisions …. and eventually „start-and-stop“ decisions for the production machines. With its very first product, ProfilControl, Pixargus soon became the leading provider of optical surface inspection systems for rubber profiles in the automotive industry. Worldwide almost all major manufacturers of rubber profiles for the automotive industry use Pixargus systems to control the surface quality and the dimensional accuracy of their products. Shortly afterwards, Pixargus introduced its ProfilControl Dimension (PCDX) systems for profile measurements, immediately followed by the Dual Head solution, which combines the measurement and the surface inspection of profiles in one unit. As a next step, in order to assure the quality of extruded rubber profiles as early as possible in the production chain, Pixargus took product control „upstream“ by introducing ProfilControlRoughness (PCR) 20/40, a system capable of checking the quality of the compounds in an automated procedure. Based on its initial products, the company developed systems for cables, for tubing – first for the automotive industry, later also for medical applications – and for pipes, as well as for windshield wipers, profiles for window frames and precision profiles made of metal. Another development milestone was the transition from circular, 360-degree measurements of profiles to the inspection of sophisticated, highly textured web material, such as woven and non-woven fabrics, foils and plates. The image processing algorithms developed by Pixargus are capable of detecting defects concealed in highly textured structures. The same technology as used by Pixargus for the measurement of defects in moving profiles forms the basis of the goal-line technology for football fields developed by the Pixargus subsidiary GoalControl. Based on images sent by up to 14 cameras installed around the pitch, this image processing system instantly detects whether the ball has passed over the goal line and sends a message to a watch worn by the referee. The system enjoyed a successful premiere at the 2014 FIFA World CupTM in Brazil. GoalControl performed excellently during all 64 games. In many critical situations, the system helped the match officials make the correct decision, especially for Bryan Ruiz“ goal for Costa Rica against Italy and in the match between France against Honduras, when the referee decided on a goal after having received the confirmation from the goal-line system. Pixargus develops and produces systems for optical inline measurement and inspection of continuously produced long products such as profiles, tubing, tubes, webs and cables made of a great variety of materials. Established in 1999 as a spin-off of the Institute of Plastics Processing (Institut für Kunststoffverarbeitung IKV) of the Technical University RWTH of Aachen/Germany, Pixargus has specialized in optical quality control of extruded products made of plastics and rubber. Pixargus systems inspect sealing profiles – for example, for the automotive industry – and tubing, catheters, cables or window seals as well as raw material (compounds) made of thermoplastic elastomers (TPE) and rubber. Additionally, Pixargus offers systems for the inspection of – textured, woven or non-woven – web material. Worldwide almost all major manufacturers of automotive rubber and TPE profiles use Pixargus systems for surface inspection and profile measurements. Also in medical engineering Pixargus has set new standards with its inline surface inspection systems for medical tubing. In the production chain for CFRP, Pixargus systems detect weaving and material defects, inspect the gap width, measure and check whether the powder has been properly deposited, measure the degree of sintering, and so on. To allow a comprehensive data analysis, the data measured by the various sensors are interlinked and integrated into a “global data map”. This makes it possible to optimize production processes and guarantees 100 percent flawless products. The company, based in Würselen near Aachen/Germany, is active worldwide through its US branch and various international technical agencies. www.trust-your-eyes.com (http://www.trust-your-eyes.com) offers everybody the chance to make up their own opinion about the results and image quality one can expect from lenses, camera bodies and digital compact cameras. Not via abstract numbers but with meaningful and comparable full resolution raw images with the TYE test target. In contrast to most conventional tests www.trust-your-eyes.com (http://www.trust-your-eyes.com) employs a completely different approach. The site name is mission description and credo. For the first time photographers are enabled to compare image results with full resolution raw files, allowing to examine even the finest differences on absolutely unprocessed images. The project was masterminded by Robin Ochs of Picture Instruments, a Leverkusen based German company that is already known for image processing software. The tests are conducted on a custom designed test target in a standardized environment. The target design makes cryptic test results and ratings obsolete and replaces them with the real thing – real world picture results. The TYE-target, as it is called by it’s inventor offers many challenges and traps for modern camera bodies and lenses. All tests take place in cooperation with Michael Quack in his Visual Pursuit studios in Düsseldorf, Germany. This exactly is the reason why Trust Your Eyes leaves it to the photographer to decide – based on his findings about the test files – wether a lens or body meets his/her expectations or not. Assessment is up to viewers discretion, and TYE does not suggest products to buy. MTF curves and numbers about lines per inch are rendered obsolete, because no MTF curve can help if e.g. the fine red mesh in the lower bottom left of the TYE-target is not resolved by lens and camera. Most photographers have no imagination about what the difference between a 94% and a 97% rating means – but they can see it in the raw files. TYE’s CEO Robin Ochs says that this opens a whole new view on lens and camera qualities. Trust Your Eyes offers prospective buyers a vast collection of raw files, shot at the most neutral settings the respective cameras allow. In order to stay independent, the company refinances itself exclusively by selling test images and does not offer any advertising on the website. The objective is to provide absolutely comparable test imagery from as many cameras and lenses as possible. Investing in a TYE lens test for 5,49 EUR can pay off immediately if it spares you from buying the wrong lens, no matter if you plan to buy a lens for 99EUR or one for 990EUR. There are lenses worth their weight in gold, and sometimes there are cheaper and /or better alternatives. Looking closer before buying might save a lot of disappointment and money. What is included in a test? Each download from Trust Your Eyes contains raw files and camera jpegs as written by the respective camera itself, with the most neutral settings available. Lens tests contain images with all full f-stops a lens can offer plus max aperture if that is not a full f-stop value. Body tests contain images shot with a reference quality lens at all full ISO values. Digital compact camera tests include all full f-stops and ISO steps. A comprehensive explanation of the traps and challenges that the TYE-target presents to cameras and lenses can be found in the „about us“ section of the Trust Your Eyes website as downloadable PDF file. For a good impression what a full test looks like, one can download free tests from www.trust-your-eyes.com/tests.php (http://www.trust-your-eyes.com/lightbox.php?ids=38,39) . Currently a bundle with the f=1.4/55mm Zeiss Otus and the f=1.4/50mm DG HSM Sigma ART is free to download (current as of 9/1/2014). Aside of the insight into the composition of a full test, these two lenses are certainly very interesting to compare with others. The preview images on the website are certainly hinting towards where a deeper look into a lens or body might be especially revealing. A comfortable favorites management (star icon next to the product) collects previews of choice on a light table page for easy comparison. These collections can be mailed to external recipients. For people considering the purchase of a certain lens/camera we recommend to compare the RAW files from the candidates over the full range of f-stops or ISO settings at various points of the TYE-target. While the test cameras are set to the most neutral settings available, „neutral“ in many cases means that the camera already has done a serious amount of processing. Also, the old rule of thumb that a lens performs best at two stops past wide open does not apply to all lenses. Some are wide open the sharpest, some need you to stop down to f=11. The difference in sharpness between corners and image center can be dramatic, and zooms are not equally good at all focal lengths. The testers came across a zoom where the maximum focal length suffered so badly from image degradation that the option to buy a cheaper (shorter) lens and to zoom digitally by cropping seemed like a better idea. Trust Your Eyes tests contain a full set of images at the shortest and longest focal length, plus a popular focal length in the middle. After looking into so many tests one can say that neither price, nor brand or focal length setting and f-stop are guarantees for the best quality. Every now and then products held a very positive surprise, while others could not live up to the expectations one could have after looking at tests on other platforms.